e-commerce modules for your website. Bronze PrestaShop partner webagency: Who are we? Performance for your e-commerce site. This is what our modules for PrestaShop will bring you. We use our experience to meet the expectations of e-merchants. 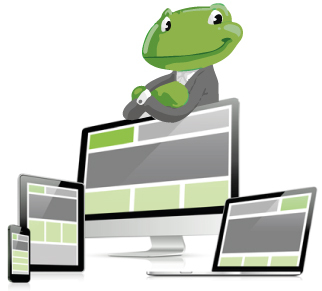 The whole Froggy Commerce team is made ​​up of former PrestaShop core developers. Our experience and knowledge allows us to create quality modules for PrestaShop. Our modules are based on e-merchants requests and e-commerce specialized agencies. We're listening. If you have any questions or requests, you can send them to us. E-merchants, agencies, freelancers ... our modules are used by all people who work in the world of e-commerce and PrestaShop. We let at your disposal some customer cases who attest of the quality of our modules and user satisfaction.